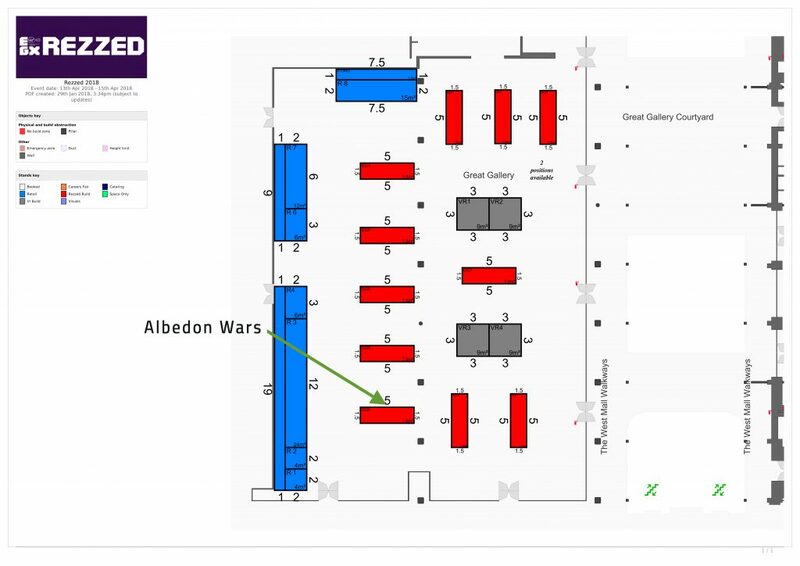 Here we are: from 13 to 15 April 2018 Albedon Wars will be present at the EGX REZZED of London, at Stand GG9 of the Great Gallery, among the independent developers. “All the great stuff from previous EGX events – hundreds of screens featuring the very best console and PC games weeks (or months) before they’re released, presentations by world famous game designers and a feast of other game related features”. Presenting Albedon Wars – the multiplayer card game that meets RPG – will be the two developers and designers of the game, namely Andrea Dallatana and Nicolò Merusi, with the help of Dave Allen, responsible for the sound. ack both during the fighting and in the various areas of the map. Albedon Wars and its world in perennial conflict will be awaiting you at the EGX REZZED 2018 all weekend. Anyone unable to attend will be able to follow the exploits of Albedon Wars directly on the site’s blog and on socials.